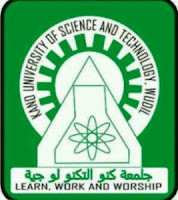 The management of the Kano University Of Science And Technology (KUST) has released the UTME and Direct Entry admission lists for the 2017/2018 academic session. Go to KUST admission portal at http://kustwudil.edu.ng/admission_letter/. Finally, click on ‘Check Admission Status’ to access your KUST admission status. Alternatively, download the PDF version from the link below. Successfully admitted candidates should check: KUST Acceptance Fee and Admission Letter Printing Procedures for 2017/2018 Academic Session. Congratulations to all the candidates that made it to KUST admission list.